HISTORY WEEK SURPRISE | Murchison and District Historical Society Inc. The book launch of Sam’s Meteorite on Sunday 7th of October was a great start to the week. But more was in store! At the Victorian Community History Awards 2018 held at the Arts Centre in Melbourne the next day, our book, launched last year during History Week, Art Captured, won best Local History – Small Publication Award! It was a total surprise as no winners or shortlist are announced before the event. It is a prestigious award and a wonderful promotion for our local history. All very exciting! The book, compiled by Kay Ball, tells the story of Hans-Wolter von Gruenewaldt a Mining Engineer, who fled South Africa at the outbreak of war in order to avoid internment, only to be captured by the British and spend the next 6½ years as a Prisoner of War. His dramatic journey took him to the other side of the globe, miraculously surviving the sinking of the Arandora Star and enduring inhuman treatment aboard the Dunera, on his way. His Australian destination was the Goulburn Valley in central Victoria. Due to his artistic creativity he left a visual legacy in the township of Murchison. 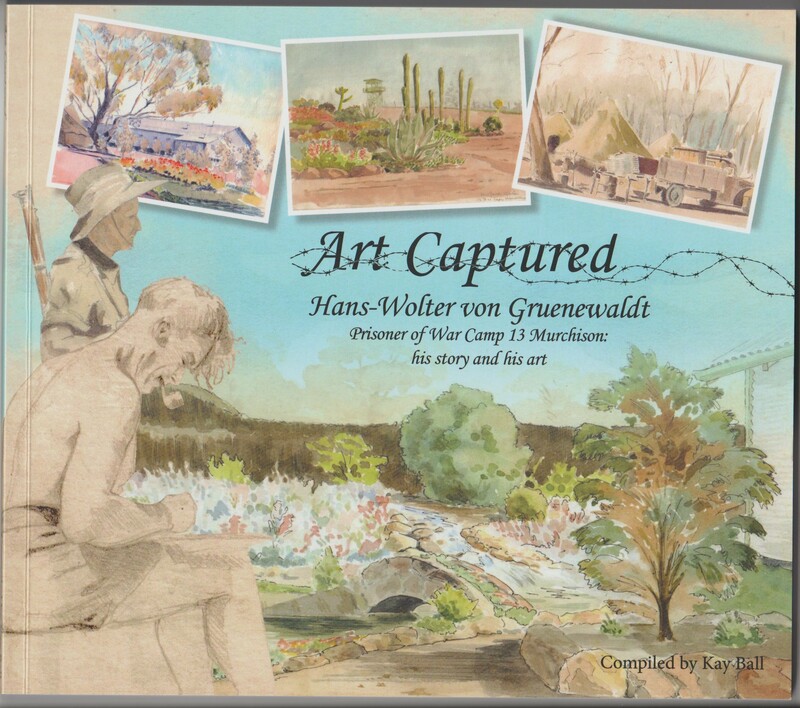 But many years later when his son Axel gifted his extensive folio of art work to the local Historical Society, the amazing scope, diversity and extraordinary talent of Hans-Wolter von Gruenewaldt was fully revealed. Copies are available from Murchison, Rushworth, Tatura and Shepparton Museums, and Shepparton Visitor Information Centre for $25.00 and can be borrowed from GV Regional Library. In Melbourne, the book can be purchased from the Royal Historical Society Book Shop, 239 A’Beckett St.
Kay Ball with Don Garden, Royal Historical Society President. Murchison Historical Society is grateful for the support from City of Greater Shepparton to stage History Week.